I noticed the other day that the Sega Mega Drive: Ultimate Collection (known as Sonic’s Ultimate Genesis Collection in North America) was down to £14.99 on Play. I mentioned this to my friend Joe and he told me I was crazy and would be throwing my money away if I purchased it. Before I talk about that, let’s look at the game itself. The game was released for the Xbox 360 and the PS3. Games have apparently been updated to HD but they haven’t really. The game screen can be expanded to fit on modern televisions but the games have not been given a modern makeover like Bionic Commando Rearmed, Street Fighter II HD or Wipeout HD. So some of the games look very dated. 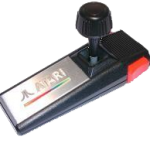 Still, it’s still a very cheap way to play some classic Sega games through your Xbox or PlayStation. By beating certain games you can win trophies and unlock interview videos of the people who created the original game. You can also unlock an additional 7 Sega arcade games and two master system games. 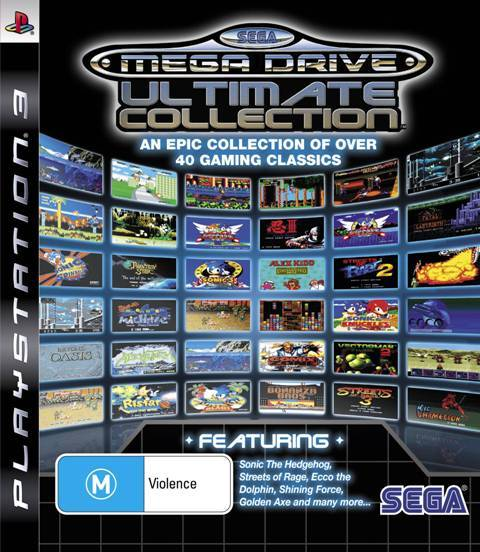 Is it worth buying Sega Mega Drive: Ultimate Collection? Since I am playing modern warfare 2 religiously, I have time to see whether this collection is worth buying. My friend Joe was of the opinion that I’d be throwing my money away. I have purchased several older games via the PlayStation store before so for me, £14.99 is actually good value for a collection of nearly 50 games. I can still remember when many of these games were released in the UK for £39.99 so maybe that is making me think this is good value. The reviews for the game have been fairly positive, averaging a 7 or 8 out of 10 for most reviews. Some games like Sonic and Streets of Rage are still fun to play but some of them look a little dated now (Altered Beast etc). Plus it seems like Sega were a little lazy with the PAL release of this game as the screen shows Genesis carts instead of MegaDrive ones. As I said, since I’m still actively playing the new Call of Duty game, I have time to consider whether this is a game worth buying. £14.99 seems like a bargain to be able to play 50 great Sega games. However, when you think about it, is it really worth it? You are not playing these games on the original console, these games are simply being emulated. Therefore, they play the same way a Sega Emulator would play them. My laptop is hooked up to the same television which my PS3 uses and I could use this driver to use my Playstation Controller through my laptop so it’s perhaps a little silly to pay for the pleasure of playing these games via my PS3 as they haven’t been changed or improved in any way. Sure, you can unlock trophies, but I’m a 30 year old man, and unlocking a trophy is something that just doesn’t interest me. So when I think about it logically, it seems silly to pay money for games which haven’t been improved as I could play the games using the same controller and on the same television for free. Yes, I know that emulation isn’t very legal but realistically, Sega aren’t going after old gamers who want a quick 30 minute blast of a game they used to play 20 years ago. I’m still kind of in two minds about the game. £15 isn’t a lot of money and, being as lazy as I am, it would be handy to be able to just insert a disc and play some classic Sega games, plus it would be fun to play games like Streets of Rage or Sonic 2 on two player too. But, there’s no denying that you are just paying for emulated games, and you can easily download the whole MegaDrive collection within 30 minutes if you really want to play some classic Sega games. In the meantime, check out this video review of the Sega Mega Drive Ultimate Collection from James Woodcock.